Now Debbie Macomber is an author that I hear people raving over so much and I’ve always wanted to read one of her books but just haven’t got round to it due to time. I know one of my book club girls absolutely loves her work. So when I was invited to take part in her blog tour, I agreed straight away! This was SUCH a gorgeous book! My favourite character had to be Seth Keaton – such a lovely man. The type that I’d certainly love to meet. LOL! I felt lots of emotions while reading this book, wrapped up from the sudden and life-changing tragedy that occurs in Annie’s life and also from Seth’s childhood too along with Mellie and her demons too! And you could so relate and empathise with all of them. You wanted to jump into the book and be a great friend to all of these fabulous characters. This book was a proper fairytale for me. The perfect location to heal Annie, the perfect man to help her on her journey. The perfect people and town to become a part of. I could have quite happily moved to this fabulous seaside town myself. It was truly a most enjoyable and entertaining read that kept me glued to my chair and didn’t want to put down. A book about appreciating the people in your life and the life you have, and knowing that life can change in a heartbeat. A book about helping yourself and making changes to your life and making the most of an awful situation and finding your happy place to heal yourself. A book about treasuring memories and finding a way through the heartbreak to find peace within yourself. I would highly recommend this lovely book and I will most definitely be looking out for of Debbie’s books. A seaside town helps one young woman rediscover hope and healing in a brand-new novel from bestselling author Debbie Macomber. 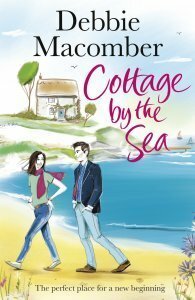 Rocked by tragedy, Annie Marlow returns to the one place she knows she can heal: the cottage by the sea where she spent many happy childhood holidays with her family. There, Annie meets Keaton, a local painter with a big heart; Mellie, the reclusive landlord Annie is determined to befriend; and Britt, a teenager with a terrible secret. With them her broken spirit starts to heal. Then events threaten Annie’s new idyll. And when the opportunity of a lifetime lands in her lap, she is torn between the excitement of a new journey and the pull of the haven – and the man – she has come to call home. Will she be able to make her new-found happiness last? Debbie Macomber is a No. 1 New York Times bestselling author and one of today’s most popular writers. 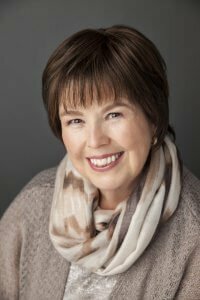 In addition to fiction, Debbie has also published two bestselling cookbooks; numerous inspirational and nonfiction works; and two acclaimed children’s books. The beloved and bestselling Cedar Cove series became Hallmark Channel’s first dramatic scripted television series, Debbie Macomber’s Cedar Cove, which was ranked as the top program on US cable TV when it debuted in summer 2013. Hallmark has also produced many successful films based on Debbie’s bestselling Christmas novels. Debbie Macomber owns her own tea room, and a yarn store, A Good Yarn, named after the shop featured in her popular Blossom Street novels. She and her husband, Wayne, serve on the Guideposts National Advisory Cabinet, and she is World Vision’s international spokesperson for their Knit for Kids charity initiative. A devoted grandmother, Debbie and her husband Wayne live in Port Orchard, Washington (the town on which her Cedar Cove novels are based) and winter in Florida. 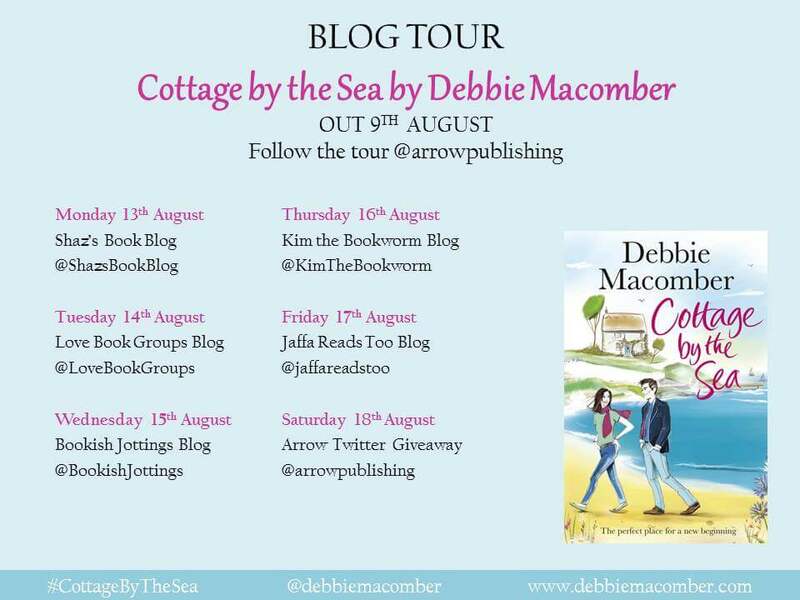 Here is the blog tour banner for this tour, and all the other lovely bloggers who are also reading and giving their opinion of this lovely book.